Welcome to this weeks edition of Ask the Author! For this week I've contacted the lovely Kate Hattemer, author of The Vigilante Poets of Selwyn Academy and The Land of 10,000 Madonnas. Fortunately, she took some of her time and answered 8 of my questions about her upcoming release which I am really excited about and looking forward to reading. Five teens backpack through Europe to fulfill the mysterious dying wish of their friend. 1 – Describe The Land of 10,000 Madonnas with a haiku. in Europe – but why? 2 – What sparked the idea for The Land of 10,000 Madonnas? Nearly four years ago I was fortunate enough to spend a summer traveling in Europe, and my time there definitely shaped the characters’ journey. I became fascinated with artistic representations of Mary, especially Annunciation and Pieta scenes, and they inspired many of the book’s concerns, both literal and thematic. 3 – What was the most challenging about writing The Land of 10,000 Madonnas and which scene was the most fun to write? When writing this book, I became downright appalled at how naïve and over-ambitious I’d been when I’d first plotted its six different perspectives. I’d known I’d have to differentiate their voices, but I hadn’t realized how challenging it would be to map out each character’s arc, to juggle simultaneously six characters' development and maturation (and sometimes regression). Probably three-fourths of the revision process was focused on this aspect alone. It was a difficult book to write, but I had a lot of fun too. I think teenagers give humor a position of extreme privilege in their lives, and it was a pleasure to let humor insinuate itself into even the darkest moments (as it tends to do). And I like to write slapstick – there’s one scene with a strawberry smoothie explosion, and another where a pigeon displays his very good aim, if you know what I mean. This book took a lot of work and a lot of revision, and there were several moments along the way where I truly doubted whether I was capable of writing the book I wanted to write. And although I can be endlessly neurotic, I’m really trying not to return to the book with that critical eye – it is what it is, and I’m proud of it. 5 – What led you to writing and wanting to be an author? Is it the way you imagined it would be? Reading has always been my favorite thing to do, so the idea of writing had long been in the back of my mind. However, it wasn't until my freshman year of college that I knew I wanted to be a writer -- after a devastating death in my family, the only solace I found was through novels. So that, I think, is how I came to wanting to write them myself. In some ways, this career is just as I envisioned – the writing itself doesn’t change. But the publishing industry is always full of surprises. 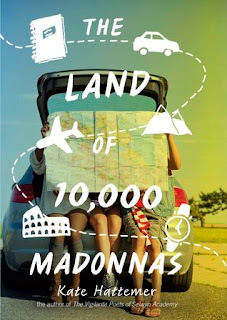 6 – What do you think about the cover for The Land of 10,000 Madonnas? Is it anything like what you envisioned it to be? I love it! Every time I see a cover for a book of mine, I breathe a giant sigh of relief that I’m not the one who designs them. They are never anything like what I envision, and that is something for which I – and everyone – should be extremely grateful. 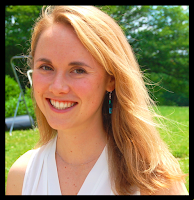 7 – What advice could you give aspiring authors? Read. Surround yourself with interesting people, and listen to them talk. Read. Surround yourself with interesting people, and talk yourself. Read. Do things that scare you. Read. Fall in love. Find a job. Read. 8 – If you could have any superpower, what would it be and why? I was at a bonfire the other night and a friend of mine brought up the question of mediocre superpowers – like, superpowers that just aren’t that good. You can go invisible… but only in the top half of your body. You can fly… but only two inches above the ground. Ever since then I’ve been obsessively cataloguing mediocre superpowers. So let me say that I’d love to be instantly dry the moment I step from the shower. No more wet hair. No more towels. I’m not asking for much, universe. You want to pony up?